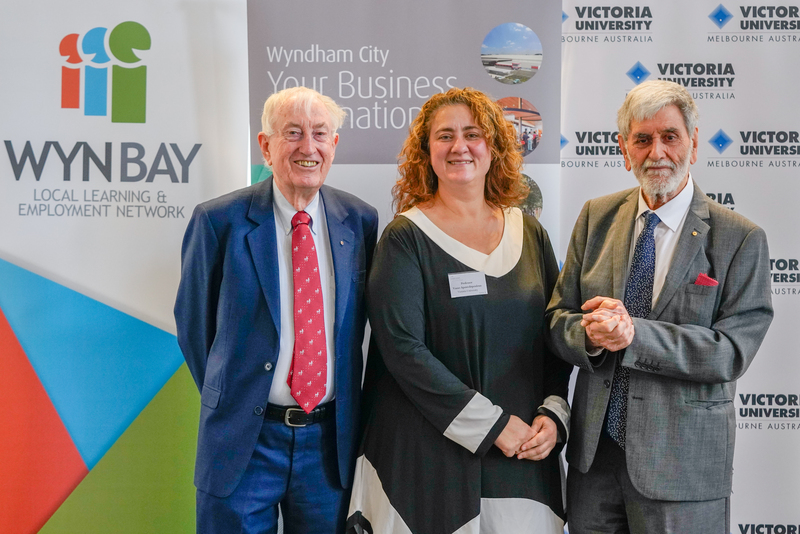 The Barry Jones Oration aims to raise the profile and importance of learning and skills development, innovation, creativity, technology and critical thinking in Wyndham City. 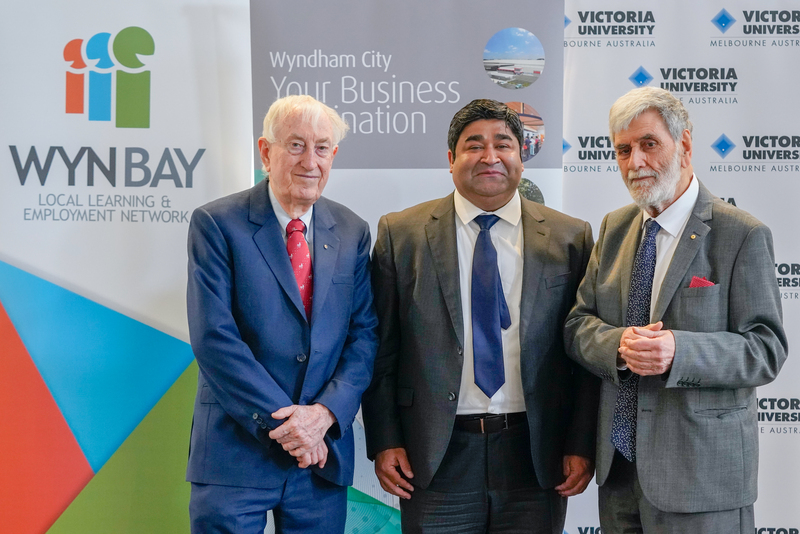 Since its inception in 2012, this special event has grown to be one of the most significant on Wyndham City’s business calendar. The event is named in the honour of the former Local Member and Minister for Science, Professor Hon. Barry Jones AC. 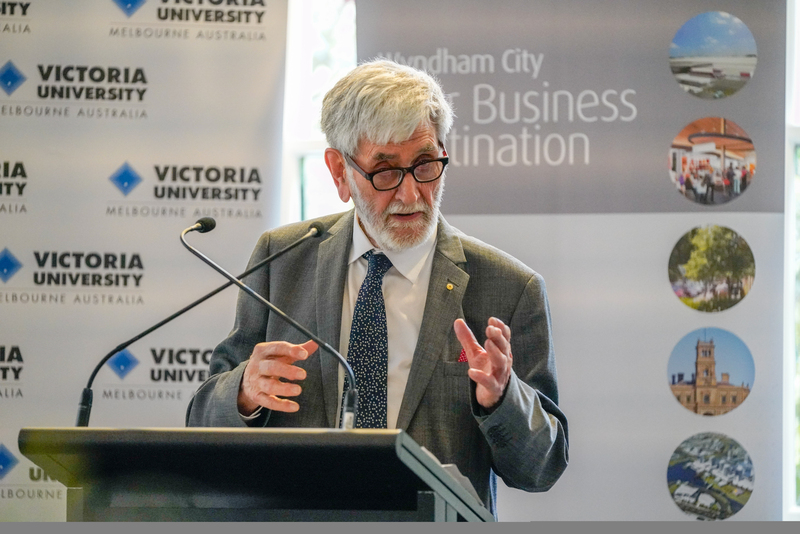 The 2018 Barry Jones Oration saw the esteemed Nobel Laureate, Professor Peter Doherty AC, deliver an at times theatrical, inspirational and captivating speech titled “An unlikely journey: Vet School to Stockholm and Beyond". An Australian veterinary surgeon and researcher in the field of medicine, Professor Doherty was awarded a Nobel Prize in 1996 and named Australian of the Year in 1997. Like Barry Jones, Professor Doherty has also been anointed by the National Trust of Australia as an Australian Living Treasure. This event is delivered by Wyndham City’s Economic Development Unit with the support of the event sponsors. Council would like to acknowledge the support of the sponsors for their generosity and partnership in advancing business in Wyndham. 2013 - Julian Burnside AO QC - Are we there yet? 2014 - Professor Suzanne Cory AC, PhD, FAA, FRS - Australia at the crossroads. The importance of Education, Science and Innovation for our future. 2016 - Janet Holmes a Court AC, FAHA, FAIB - How did I/we get here? The Barry Jones Oration is ‘proudly supported by’ (Vic Uni and WYN Bay LLEN).